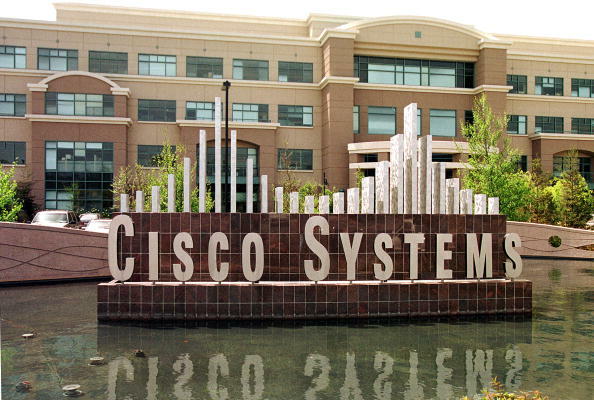 Cisco Systems Inc. (NASDAQ: CSCO) is scheduled to release its fiscal second-quarter earnings after the market close on Wednesday, February 9, 2011. Analysts, on average, currently expect the company to report earnings of 35 cents a share on revenue of $10.23 billion. In the year ago quarter, the company reported earnings of 40 cents per share on revenue of $9.82 billion. Cisco hasn’t missed profit estimates since at least 2005. Cisco Systems, Inc. designs, manufactures, and sells Internet Protocol (IP)-based networking and other products to the communications and IT industry worldwide. The company is often considered as a technology-industry bellwether as it dominates the market for routers and switches. The company's business segments for financial data reporting are defined by geographic region or "theaters": United States and Canada, European Markets, Emerging Markets, Asia Pacific, and Japan. The U.S./Canada segment provided 54.3 percent of fiscal 2010's total revenue. In the preceding fiscal first-quarter, the San Jose, California based company's net income was $1.93 billion, or 34 cents a share, compared to $1.79 billion, or 30 cents a share, in the year-ago quarter. On an adjusted basis, the company earned 42 cents a share in the latest quarter. Revenue climbed to $10.75 billion from $9 billion in the same quarter last year. Analysts, on average, expected the company to report earnings of 40 cents per share on revenue of $10.74 billion. Cisco's global operations and a clientele spanning businesses and government agencies has made it one of the technology sector's bellwethers. The management team's record of controlling costs and growing the business through acquisitions also made them a darling of tech investors over the years. But a fragile global economy has proven more damaging than initially expected. At its last earnings call in November, Chief Executive John Chambers pointed to “air pockets” in the market, highlighted by weak demand in the government sector. The networking giant said that it expects second quarter net sales to grow 3% to 5% year-over-year, implying second quarter net sales of $10.11 billion to $10.31 billion. For the fiscal year 2011, the company anticipates net sales to grow 9% to 12%, implying net sales of $43.64 billion to $44.84 billion. Competition in the company’s core markets has been intensifying for some time. However, Cisco has been diverting resources to rapidly enter a wide range of adjacent businesses in relatively short order. According to industry experts, Cisco still faces competitive hurdles, as other big tech giants, including one-time partner Hewlett-Packard (NYSE: HPQ), scramble for a larger piece of the corporate IT market, especially with the shift toward cloud computing, which is boosting the demand for data center systems. Cloud computing allows companies to tap computing power through a network instead of in-house data centers. Overall, after Cisco’s shocking guidance late last year, the company is seen offering a more upbeat view of the coming quarters. The company has said it can grow by entering new markets like data center servers, video conferencing and smart grid technology. But investors said they would like more reassurance that these projects will soon turn more profitable. Recently, Cisco Systems agreed to buy Inlet Technologies, a privately-held digital media processing firm, for $95 million in cash and "retention-based incentives in exchange for all shares" of the Raleigh, North Carolina-based company. The acquisition is expected to close in within the first half of 2011. Last month, Cisco Systems agreed to acquire privately-held Pari Networks, a provider of network configuration and change management and compliance management solutions that will complement Cisco's smart service capabilities. Based in Milpitas, Calif., with part of its employee base in Hyderabad, India, Pari Networks' technology will integrate into Cisco's smart services and help to manage the health and stability of customer networks. The acquisition is expected to be complete in the third quarter of Cisco's fiscal year 2011, subject to various standard closing conditions. During, the company announce that its board of directors has authorized up to $10 billion in additional repurchases of its common stock. Cisco previously authorized up to $72 billion for its current stock buy-back program, according to the statement. Cisco said the stock buy-back program had no fixed termination date.